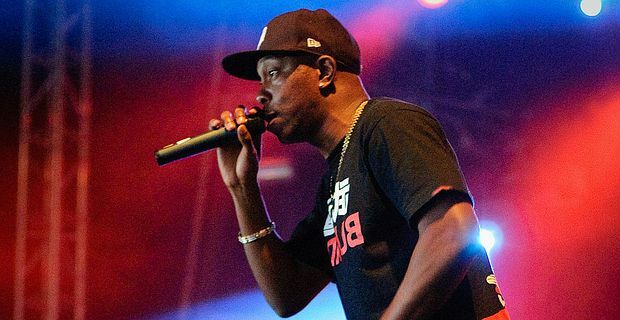 One of Britain’s foremost urban music stars Dizzee Rascal has been talking about moving to Florida. After a series of number ones in the UK made him public property, Dizzee went in search of anonymity. "It got to the point where I'm walking down the street and I don't know why people are staring at me," he told The Guardian. "Is it because they know me or because they know who I am or is it because they think I'm a c**t? It's confusing." After a few trips to Florida, he decided that was the place to escape recognition. He found that he began to miss the celebrity status though, especially when it came to getting into clubs, where he would be turned away, "because of your clothes or because they just don't like the look of you, or it's: 'You ain't got no girls with you, you can't come in.' I'm like: 'What – do I have to bring girls to the club? I don't understand! I come here for girls!' "
He hung around with Snoop Dogg, Quincy Jones and, (this might be disappointing to those who still picture Dizzy as the edgy character from East London) Lionel Richie. Dizzee enjoys the excess of America, but remains respectful of the way Britain never lets an artist get too full of himself. "I'm not going to lie, it can be fun throwing money over a naked midget in one of the most famous gangster strip clubs in America," he said. "But after a while, throwing money around is not sensible, even if the midget is willing."